Warner Bros. has released a new music video from the upcoming musical romantic drama A Star is Born for the song “Shallow” sung by stars Bradley Cooper (Avengers: Infinity War) and Lady Gaga (American Horror Story: Hotel). 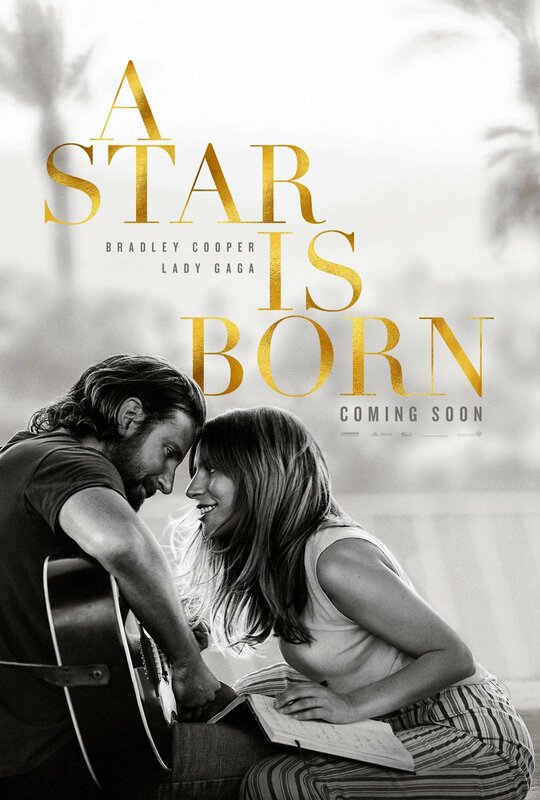 A Star is Born stars four-time Oscar nominee Bradley Cooper (American Sniper, American Hustle, Silver Linings Playbook) and multiple award-winning, Oscar-nominated music superstar Lady Gaga (as Stefani Germanotta), in her first leading role in a major motion picture. Cooper helms the drama, marking his directorial debut. In this new take on the tragic love story, Cooper plays seasoned musician Jackson Maine, who discovers—and falls in love with—struggling artist Ally (Gaga). She has just about given up on her dream to make it big as a singer… until Jack coaxes her into the spotlight. But even as Ally’s career takes off, the personal side of their relationship is breaking down, as Jack fights an ongoing battle with his own internal demons. The cast of A Star is Born also includes Andrew Silverstein (aka Andrew Dice Clay), with Dave Chappelle and Sam Elliott. In addition to playing Ally, Gaga, who earned her Oscar nod for the song “Til It Happens to You” from The Hunting Ground, performs original songs in the film, which she wrote with Cooper and a handful of artists, including Lukas Nelson, Jason Isbell and Mark Ronson. All the music is original and was recorded live. A Star is Born is being produced by Bill Gerber, Jon Peters, Bradley Cooper, Todd Phillips and Lynette Howell Taylor; with Basil Iwanyk, Michael Rapino, Heather Parry and Ravi Mehta serving as executive producers. The screenplay is by Will Fetters & Bradley Cooper and Eric Roth, based on the 1954 screenplay by Moss Hart and the 1976 screenplay by John Gregory Dunne & Joan Didion and Frank Pierson, based on a story by William Wellman and Robert Carson. The feature will arrive in theaters on October 5, 2018.